Considered one of the world’s greatest religious celebration, each year millions of people join in on Mazu’s pilgrimage around multiple cities in Taiwan, some even choose to walk the whole 300km along. Temples in Taiwan are always filled with loads of people kneeling before the gods, asking for wishes to be granted, and or chanting along with the scriptures. My family is not especially religious, meaning we don’t always cook huge feasts on certain days as offering to the gods, nor do we own a “god table” at home. In many Taiwanese homes, families will put a god table in the living room with sculptures of gods or their ancestors names’ engraving on it. The table would always have fruits and incense, as offering and taking care of these religious figures. I only know very little of these customs, but I attended the Mazu Pilgrimage Festival last week with a friend of mine who is a local. Mazu is considered one of the most honored Gods in Taiwan, and each year she embarks on a pilgrimage around parts of Taiwan, being carried by believers in a carriage. 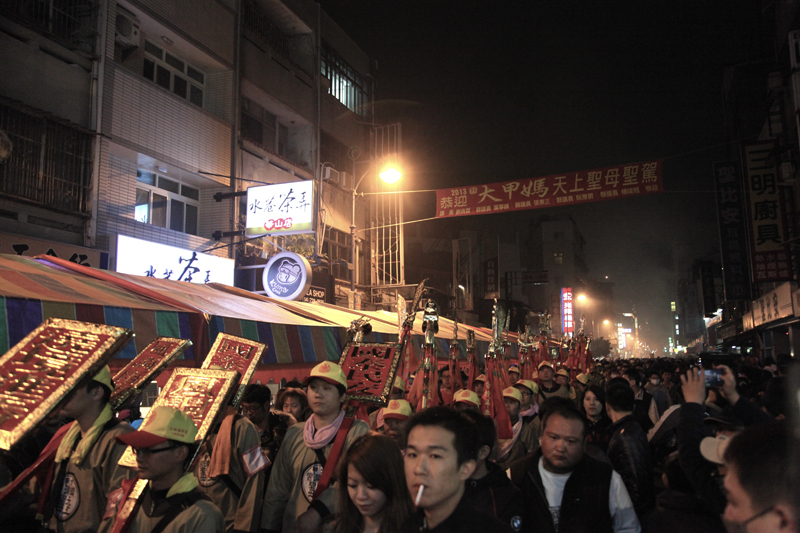 This celebration is most prevalent and thus most chaotic in the middle and southern parts of Taiwan. They believe if they were able to touch the carriage of Mazu or crawl under her carriage, that their whole year will be extremely lucky and have their wishes fulfilled. However, it is extremely unlikely to do both things because Mazu is usually surrounded by protectors and the police force. 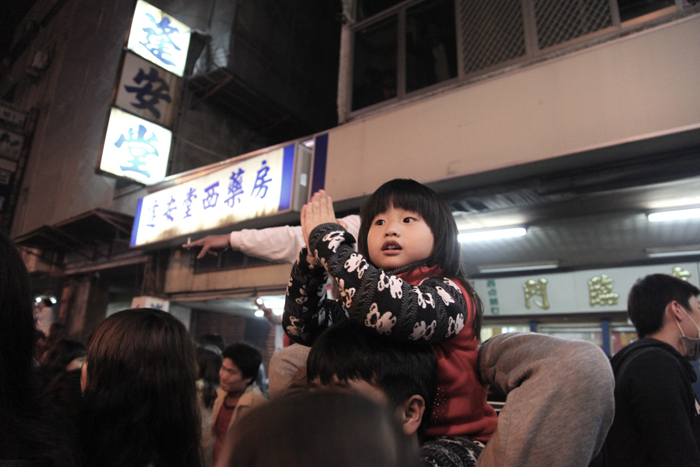 A little girl putting her hands together to bow to Mazu as her carriage was coming through. We arrived in ChangHua around 10pm, and already we can hear the endless fireworks afar. 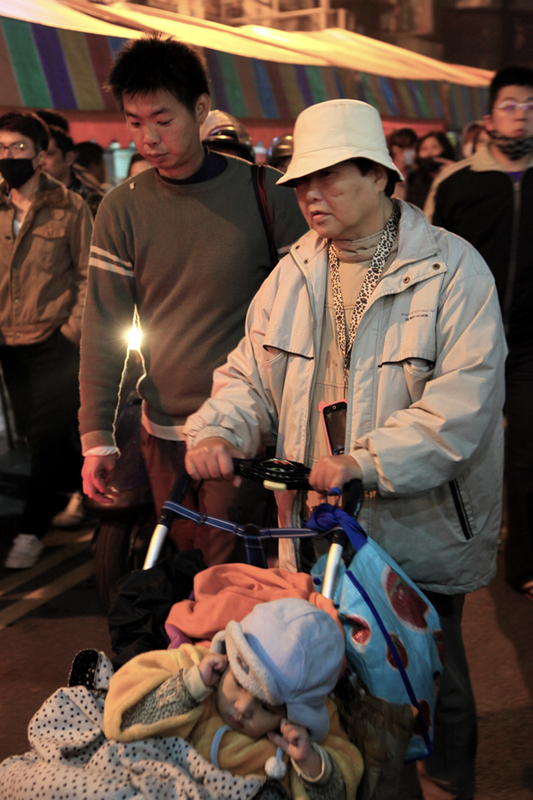 Most of the times we are unable to see Mazu’s carriage because of the hordes of people. Children, elders, families, couples are all joined together in this big parade. Storekeepers will constantly set fireworks off in order to halt Mazu in front of their store (the longer she stops, the more lucky they’ll be). Sometimes it would take Mazu an hour just to move between adjacent stops because of the length of the fireworks. Attending the Mazu Pilgrimage Festival is an experience that I’d never forget. Besides from immersing myself in the roots of my own culture, I could also see the importance of faith amongst people of all gender, age and race. And if you’re not a believer, the firework show should be alone spectacular enough to be worth your while! 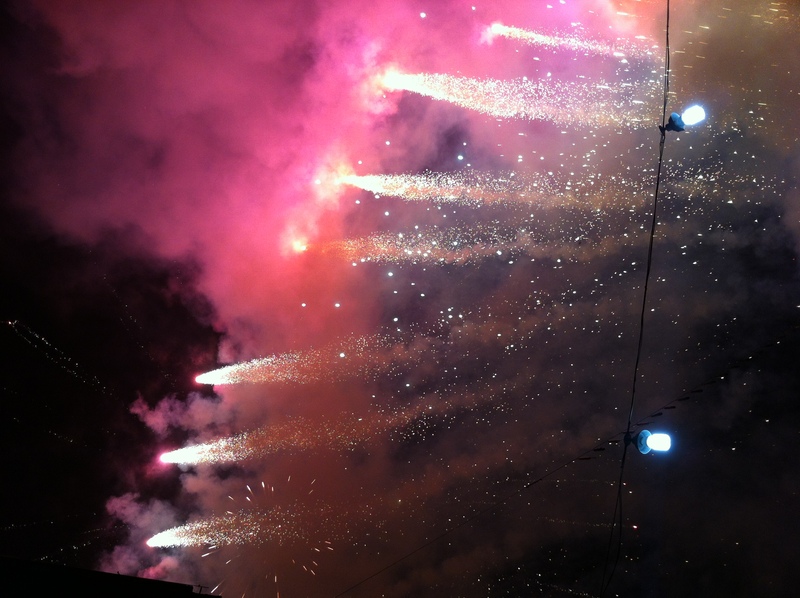 This entry was posted in Explore, Stuff we love, Taipei and tagged celebration, fireworks, mazu, pilgrimage, religion, Taipei.